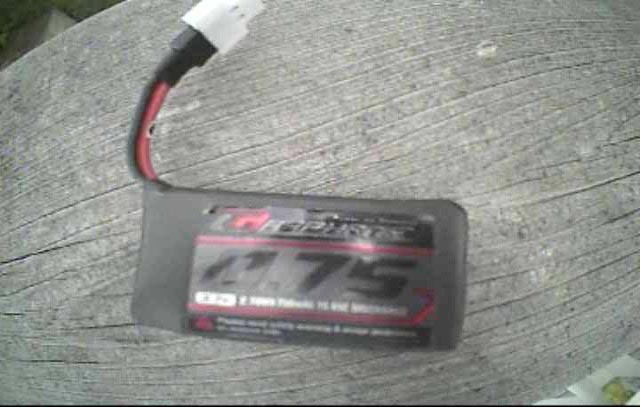 Many China based FPV and/or RC manufacturers are pushing into the western markets at the moment. I got contacted by AKK Technology if I would like to test some of their brand new FPV gear. Of course, I couldn’t turn down this offer. The following article looks at two All-in-One FPV Camera / VTX units with 25 mW output power. 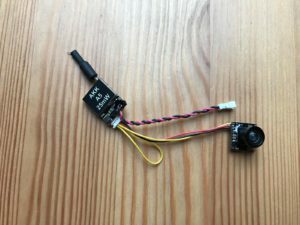 For the last few years the development of new FPV gear has almost been hard to keep track off. As governments try to create laws for an always increasing amount of privately used multicopters, weight restrictions have become a important measure to categorize „drones“. In Germany we now have weight classes from 0 to < 250 g, up to 2 kg, up to 5 kg and > 5 kg to 25 AUW. While the latter require registration and some even special drone pilot license like proof, the lightest class below 250 g is still free to be flown without any registration (but, of course, within the general restrictions of aviation law). 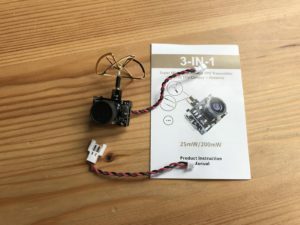 Luckily the FPV racing community still follows a down sizing trend and with more and more brushless micro racers coming to the market there also is an increasing need for capable micro, all-in-one (AIO) FPV camera units with integrated VTX. AKK Technology sent over two different AIO FPV camera units with a maximum RF output of 25 mW. 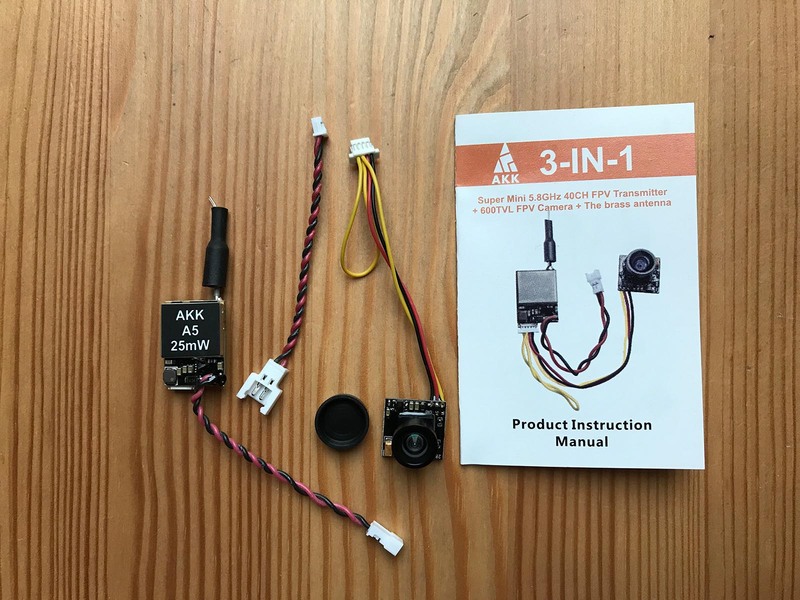 To be precise I received the new AKK A1 Micro AIO Camera* as well as the AKK BS2 AIO Micro Camera. The product naming is not fully transparent, but in the end I think to have figure out that the letters represent a product line, while the number and following letters distinguish features (antenna format) and maximum output power of the integrated VTX. Both units are shipped in an identical, generic box. 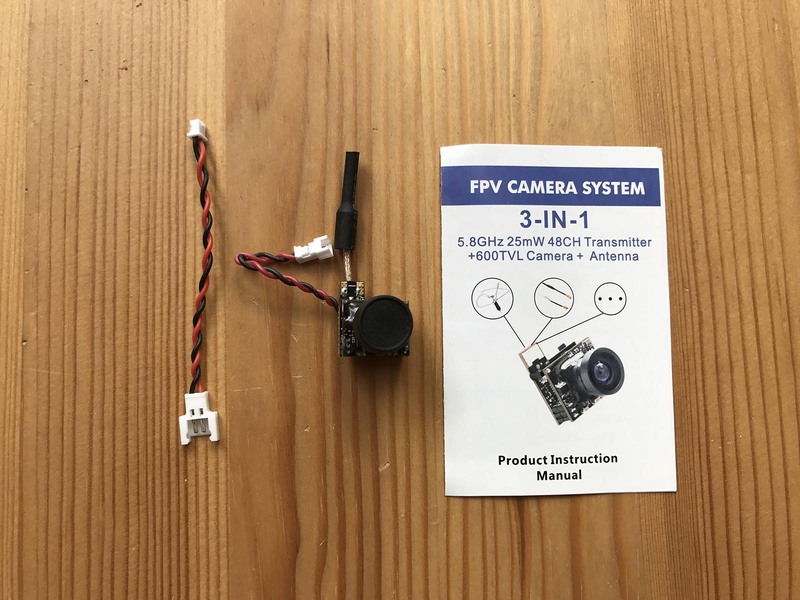 Besides the FPV unit, you get a adapter for voltage supply as well as a small manual sheet, listing the technical specs as well as the channel and band frequencies to choose from. Both modules operate with a fixed RF output power. AKK Technology also offers AIO units with switchable output power. The following table lists additional specs for the A1, A5 and BS2 AIO units. *Not all channels are legal to use within Germany! 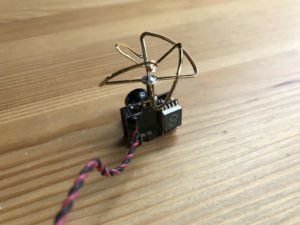 Check out our FPV frequency guide for details on legal channels, bands and frequencies for FPV applications in Germany. 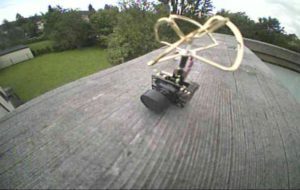 Both FPV units are clearly made to be used with the sub-micro racing quad class. So power supply input range is pretty narrow, but on the other hand already starts at close to 3 V for bot units. This is important, because you do want to have a reliable working video link even if power spikes are dropping your flight pack voltage or you are flying close to the capacity limit of your pack. 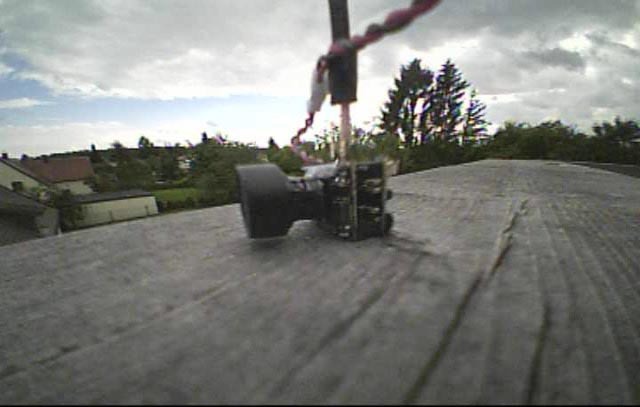 The color and video quality of both FPV units is really good for 600 TVL. The 120° FOV gives you an immersive feeling and is suitable for FPV racing. In the end the FOV is dependent on personal taste. Changing the lens on these AKK units will be tricky as both PCBs are sealed with some kind of transparent epoxy to make sure all components stay on the PCB even during crazy maneuvers and maybe even increase the chance of surviving „less suicidal“ crashes. ;) There is no possibility to setup the camera module itself. Picture adjustments have to be made on the receiving end (e.g. your FPV goggles). Setting up the right channel and band couldn’t be easier on the AKK A1 module*. One button in combination with a single digit display allows for fast selection of the correct band (displayed as letters on the display) and the right channel number. A third option allows to turn the module on and off aside of being disconnected form the voltage source. On the AKK BS2* you find the same one button system, but paired with a array of different LEDs. Like you are used to on standard VTX, which using dip switches, the LED array simulates a pattern, which translates into a certain band or channel. For easier identification the LEDs for bands and channels have different colors. The setup takes a little longer compared to the AKK A1*, but is usually done within minutes. Installing this extremely light weight units is a matter of minutes as well. My preferred way of doing this is to use some heavy duty double sided mounting tape (like the one you use to fixate your GoPro* mount). This usually dampens a lot of vibration and allows the camera to get away in case of impact. Besides sub-micro racing quads I think I will put one of these units on my Bonsai FPV wing*, to try it out on a plane. For your reference I attached a few screen grabs of my Fatshark Dominator V2* googles with diversity RX installed. Images from the AKK A1 unit. Images from the AKK BS2 unit. All in all I have to say that I am really pleased with the quality of the AKK products. Both modules are manufactured to high quality standards and come equipped with pre-installed antennas and connectors. The voltage cable adapter is a nice add-on that enables you to hit the ground running. In terms of range I prefer the circular polarized antenna version when I am flying in the park as it gives me less interference. 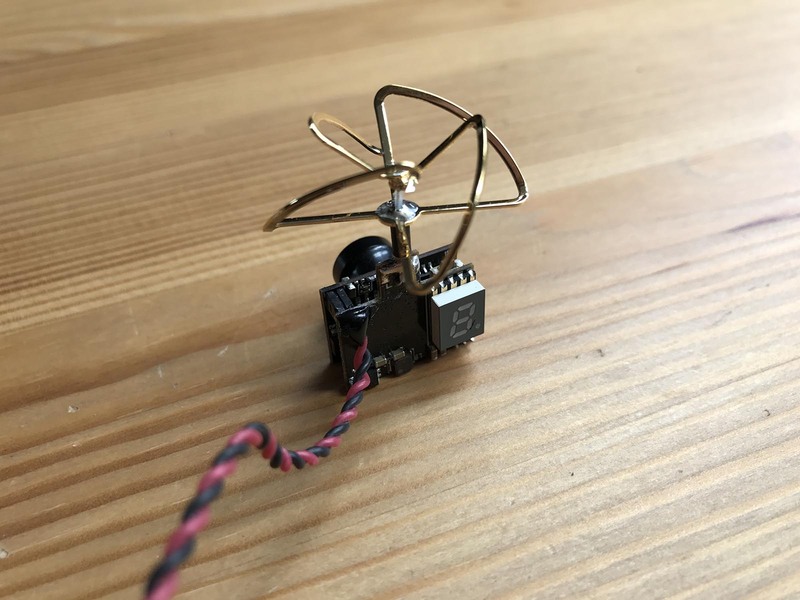 The dipole antenna is especially great for light weight planes you are flying right in your backyard or close to your start and landing spot. 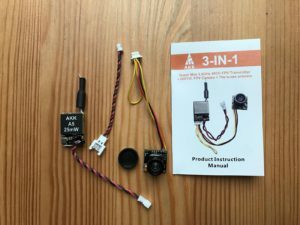 The price for both all-in-one FPV units is hot – I don’t even want to think about how much this kind of technology has cost you about two years ago. Great to see how technology (and prices) are devleoping to make this hobby available to even more people. Fly save and respect the law! Happy racing! In addition I received the all new AKK A5 FPV unit*. I added all the technical details in the table above. The new A5 module basically is a modular version of the AKK A1 FPV unit. Instead of having the components (camera, VTX) in one part hold together by some glue, the new A5 version gives pilot more freedom in balancing out their aircraft by separating VTX and cameras by a wire connection. Technical specs read almost identical to the AKK A1, the VTX actually seems to be a different hardware module, though. Nevertheless, channel compatibility and output power are the same as on the AKK A1*. The channel / band setup is conducted over a a single button on the back of the VTX. A 1 second press changes the channel, a longer press jumps through the different bands. Again make sure to use a frequency that is legal at your local position! The currently selected values are displayed by two arrays of LEDs. Of course, your selected channels are remembered when the receiver is powered on the next time. 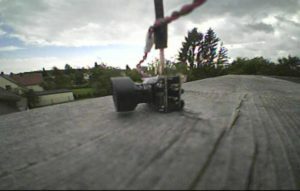 In the box you will find the camera and the VTX already connected by cable. 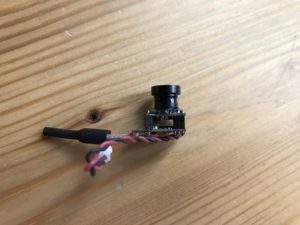 The VTX has a removable connector on its end. On the camera you find a soldered connection, though. Depending on which racer you want to equip, AKK has included a battery adapter in the set to use with two different connector types. I could not make out any major differences in picture / reception quality. The AKK A5 module* also seems to work great for the small price tag. 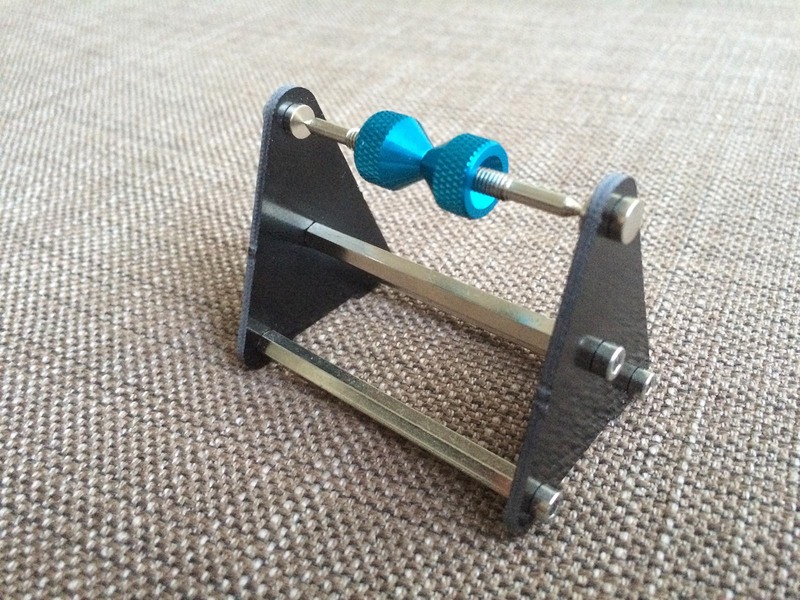 I would recommend this on very light planes where you need the extra flexibility to balance properly. The weight is nearly identical by the way. So go ahead and choose what every version fits your use case best.